There it is, the It Purse of January 2015: Valentino Rockstud Chevron Shoulder Bag. With this stunner, I start what seems a natural and obvious section of my blog: “It Purse of the Month“. Each month, I will come up with my “It Purse” pick and present it in a short article to share with you my current fixation. 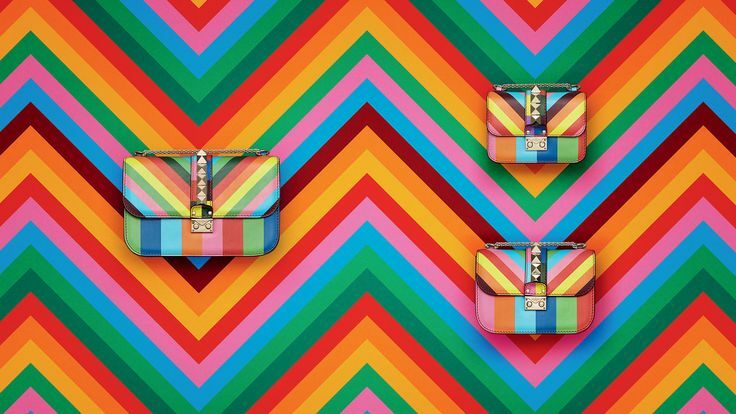 January belongs to Valentino Garavani and his mind-blowing shoulder bag in dazzling rainbow colors. How not to be obsessed? !